Another year has flown by? Wow. 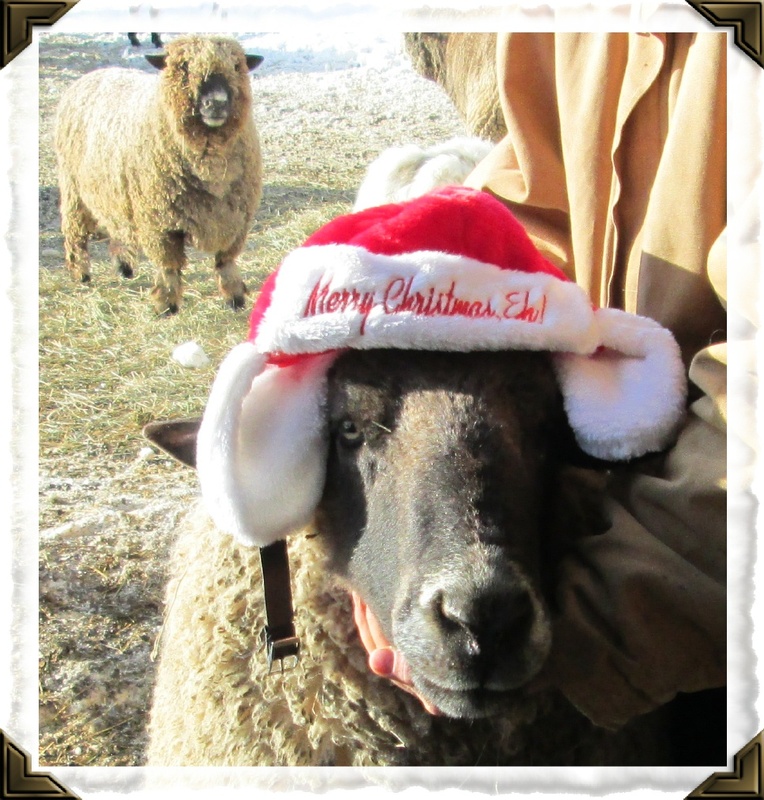 The sheep had a giant Christmas Eve party. It left a giant mess for their cute selves to clean up too. I often wonder why we don't get invitations? I did find a few lampshades in the barn. That is not a great sign right? Ha! Our Gilbert- a rare California Red sheep! However, we've also welcomed a few new sheep to our flock! Gilbert (above) is a rare California Red sheep! I really have not seen many in WI. You can read more about the breed here..
A family in Michigan contacted us last Spring to see if we had room for a few of their sheep. The ewes needed to retire and it was a very tough decision for them. Of course we said yes- twist our arms right? Ha! After January 1, I will of course start fussing about shearing day. I am very predictable! I'm always amazed how quickly that sneaks up on us despite our best efforts to be prepared. Kind of that way with winter around here too. A big thank you so much to all who donated items, bid on auctions and made donations for Zippy's surgery. I am truly overwhelmed and humbled by all the kindness this kitten has been shown. She is a very happy kitten, growing and sassy! Thank you! All of us here wish you the best new year! If you are out celebrating, stay warm and drive safe ok? We have a long due newsletter in the works- keep an eye out!